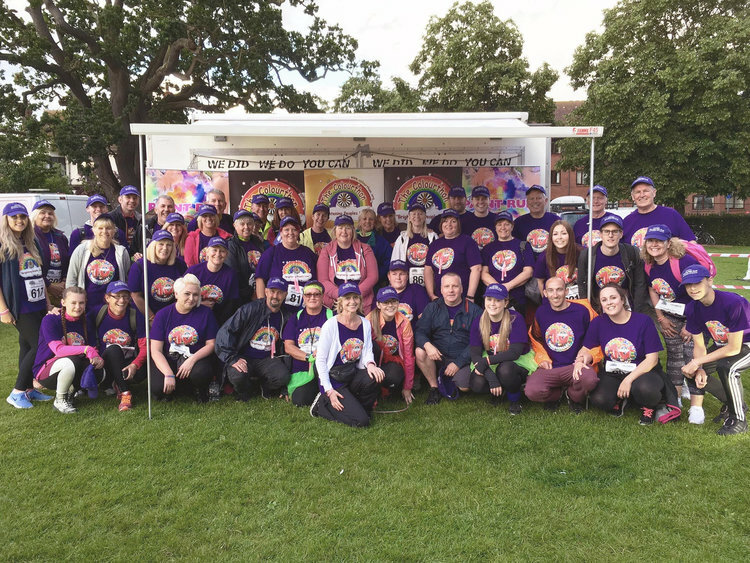 On Saturday 7th July, a group of walkers, a team put together by The Amy May Trust will take part in The Moonlight Colourthon. The event is an evening half Marathon set to the backdrop of the Thames estuary, the locality where we live, where Amy grew up and will soon come back home. We have an amazing 58 people in our team, incredible individuals showing their support to our lovely Amy and to The Amy May Trust and the wider work we do in raising the awareness on the seriousness of nut allergies. As always, we will be extremely grateful for any amount sponsored, however small – and know that every penny of your donation will go directly towards helping Amy.